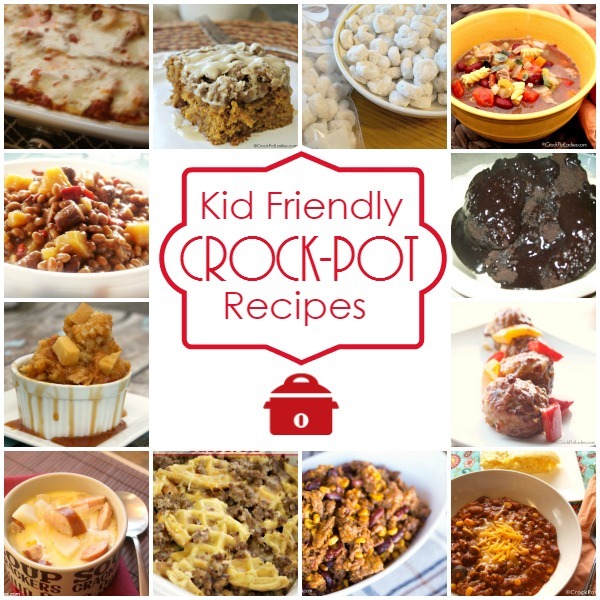 The whole family will be happy with this collection of over 345 kid friendly crock-pot recipes. From dinners to desserts, snacks to breakfast you are sure to find a recipe to feed even the pickiest of taste buds. Between the 3 of us ladies we have 10 kids (and a couple of grand-kids) so we understand that the struggle to come up with meal ideas that are kid-approved is a real struggle. Mom’s and dad’s…the struggle is real! And that is why we have put together this MEGA list of quick and easy slow cooker recipes kids will love! Here you will find over 80 kid-friendly dinner recipes that you can prepare in the morning while cleaning up for breakfast. Some fabulous slow cooker freezer meals that you can make ahead of time for those days when life is REALLY crazy. Plus we have thrown in some of our own kids favorite appetizers, dips, breakfasts, snacks, desserts and more. These are all recipes are super that tasty and ones our kids have enjoyed and request over and over again. Also don’t forget to bookmark this page (or sign up for our newsletter) and check back often because we are going to be adding a lot more of our recipes that kids love and are mom and dad approved!